“Warlight” is a WWII spy story, a mother-son story and a love story. They are eloquently told and heartbreakingly believable, but the main reason to read this novel is that no other writer builds a world with the delicacy and precision of Michael Ondaatje. 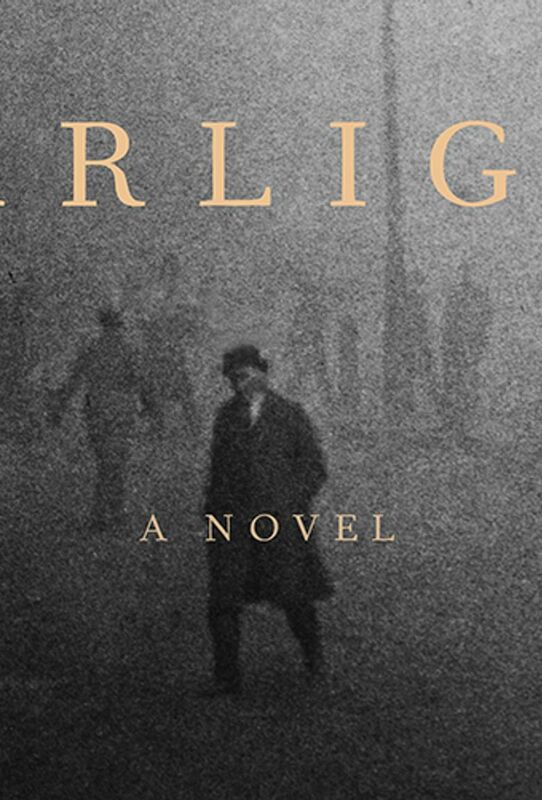 In Michael Ondaatje’s new book, warlight is the word for the twilight that shrouded London during the bombings of World War II, when lights were dimmed to avoid lighting the way for German bombs. It’s hard to imagine a more apt title for this dreamlike novel by the author of “The English Patient,” a story of secrets and revelations that unfolds like a night-blooming flower. “In 1945 our parents went away and left us in the care of two men who may have been criminals,” writes Nathaniel, the narrator. The reason for his parents’ departure — a year’s stay in Singapore — is a cover story, as Nathaniel and his sister, Rachel, learn when they find a trunk that their mother, Rose, ostentatiously packed in front of them, creating a story for each garment, hidden in the basement. Their minders are two men, and the teenagers name them the Moth and the Darter, Dickensian nicknames for men who live in the margins of the law. Freed from the constraints of parental supervision, Nathaniel roams the back alleys of postwar London. He falls in love. The Moth gets him a job at a great hotel, where from the wings Nathaniel watches him supervise an elaborate choreography: “All morning he organized the silver polishers and cake decorators, the oilers of trolley wheels and lift gates, the lint and vomit removers, the replacers of soap at each sink, the replacers of chlorine medallions in the urinals and the men hosing the pavement outside the entrance, as well as immigrants who squeezed out English names they had never spelled before onto birthday cakes, diced up onions, slashed open pigs with terrible knives, or did whatever else would be desired twelve hours later in the Ivor Novello Room or the Miguel Invernio Room,” writes Ondaatje in just one of many gorgeous sentences in this book (filmmakers will draw blood for the rights to this story). Nathaniel’s expeditions with the Darter, floating the cuts and canals north of the Thames on a barge, smuggling illicit greyhounds to illegal races, have the texture of a dream that hovers on the edge of nightmare. The teenagers’ sojourn in this half-lit world ends with an act of shocking violence, and the rest of “Warlight” follows what comes afterward, notably Nathaniel’s quest to discover the truth about his parents, a secret rooted in the “unauthorized and still violent war” that continued after the end of World War II. Nathaniel learns that his family’s dissolution was the result of their mother’s war work, but despite his brief reunion with her in postwar Suffolk, she never reveals the truth. After her death, Nathaniel becomes a cog in Britain’s postwar intelligence machine, where he unearths her story and that of a third shadow figure in the story of his mother’s past, the mysterious Marsh Felon. “Warlight” is a spy story, a mother-son story and a love story. They are eloquently told and heartbreakingly believable, but the main reason to read this novel is that no other writer builds a world with the delicacy and precision of Michael Ondaatje. You enter it, fall under its spell and never want to leave. Read “Warlight” to unearth its secrets, and read it again and again for the experience of total immersion into the imagination of a great writer.